Crowds of revellers took to the streets of Mexico City in a colourful ‘Day of the Dead’ parade dedicated to the victims of last month’s earthquake. At least 300,000 people attended the event on Saturday (Oct. 28), up from 200,000 last year, according to local media. 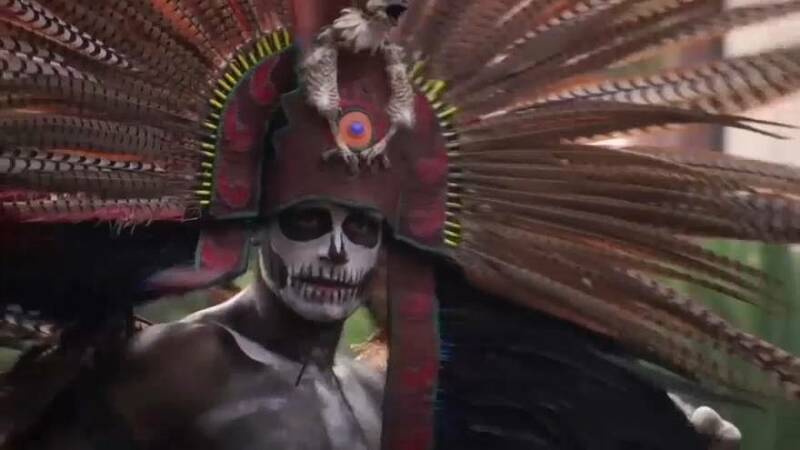 “The parade’s purpose is to show the Day of the Dead celebrations to the world. It’s a celebration of life, where we also celebrate those who passed away in a joyful, ancestral, millenary and Mexican way,” said its artistic director Alejandra Gonzalez. This year, the parade paid a special tribute to the nearly 500 people killed in back-to-back earthquakes last month. Rescue workers marched with their fists raised, in a show of resilience after the country’s worst disaster in decades. “I think it’s a good homage, especially for all those people we lost in the earthquake,” said local resident Itzel Ortega. Drawing on beliefs that the dead can return from the underworld, the festivities run through Nov. 2nd with rituals in town plazas, homes and cemeteries.